What's Happening In P.E. This Month? Hello Gators and thanks for tuning in for the latest P.E. Blog entry. I apologize that I missed sending out an entry in December but the month got busy and before I knew it were were out of school for the break. I’m thrilled to be back at Glengary Elementary, teaching on Thursdays - our wonderful first and fourth graders! I will also be volunteering on Wednesdays –again working with our students, in small groups - sharing Brain Gym activities. lessons that valuable physical fitness and healthy lifestyle content, and fun activities for our entire building. A little bit about myself...I am originally from Ohio, and have lived here in Michigan for the last 24 years. I am a proud Eastern Michigan University graduate, and am currently finishing my Masters degree through Western Michigan University – with a concentration in Adapted Physical Education. I also received a Culinary Arts degree from Schoolcraft College, so I do enjoy cooking and baking! I am married to a great guy, and have two children, in college. We enjoy: traveling, working on our home, gardening, playing with our dogs, and all types of sports! My goal is to inspire your child to initiate or continue healthy lifestyle choices – keeping physically active for a lifetime! If you need to reach me, please contact me at LindaGrinnell@wlcsd.org. Glengary Students Celebrate Diversity in P.E. At the beginning of the month, we continued with our celebration of "Diversity Week" by learning about some traditional games from other countries and cultures from around the world. During this time we learned and played some games from places like China, Greece, England, Ghana, Russia, and Native America. We also learned a few facts about each of these countries and cultures. 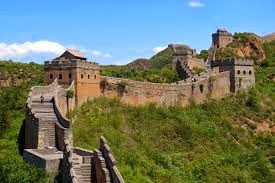 For example we learned that the Great Wall of China is about 1,000 miles longer than the distance from New York to California! Can Your Child Tie His/Her Shoes? Having shoes tied properly is an important safety factor for kids moving and playing in the gym. 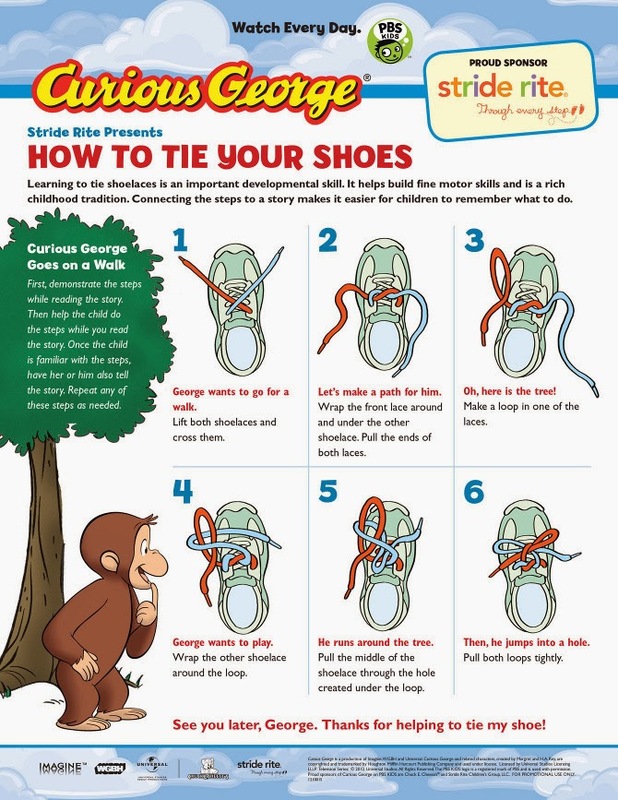 Does your student know how to tie his/her shoes? We could definitely use your help with this one! It often takes a big chunk of time away from our P.E. classes and/or classroom instruction when there are lots of shoes to be tied. So if your child has tie shoes but has not yet learned how to tie, please take some time and work with them on this skill. It is great practice for developing important fine motor skills and it will give your child a huge sense of pride and accomplishment once they are able to do this on their own! And once they know how to tie, they always get a kick out of helping to tie the shoes of others who do not know how (and it is a big help for me!). Below is a picture that you or your child can use for a reference to practice with and we THANK YOU in advance for your help as well! 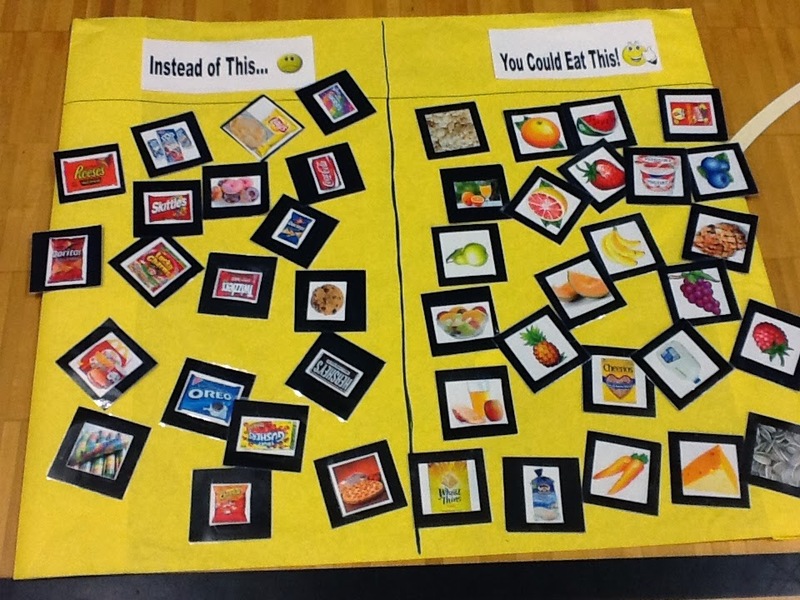 In a similar activity, Kindergarten students had to go "shopping" to trade their junk food snack in for a healthy alternative. They had to "pay" for their shopping items with exercises. 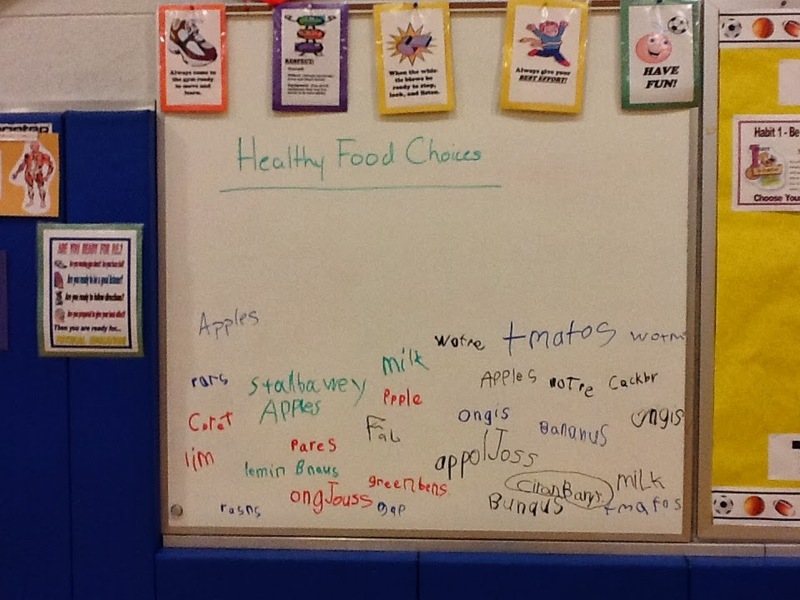 The students then had to sort the various foods into healthy, and less healthy columns. 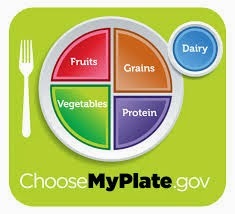 Our 3-5 grade students learned about building balanced meals using the Myplate template. We talked about the importance of eating a balanced meal, and while that may not happen at every single meal, it is a great goal to strive for. During one of our class activities, students had to go on a scavenger hunt to find the necessary food items to build a balanced meal. The team that was able to correctly categorize each food item and fill their place mat first was the winning team! Afterwards we debriefed about many of the food items that the teams had and which category each item belonged in. While we learned about the importance of eating healthy meals, we also continued to focus on the important role that daily exercise plays in maintaining a healthy lifestyle. And while the students are always working on various exercises and physical activity, we took some time during these lessons to incorporate some new and unique activities to help build both strength and endurance. The slide show below has some pictures of our Gators having fun with some of our activities this past month. Looks like PE is way more fun than when I went! 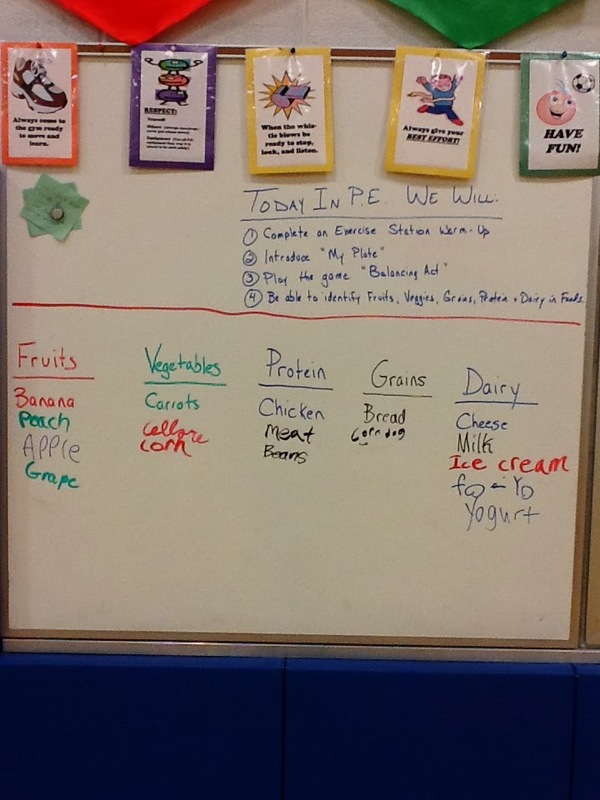 Thanks for teaching our kids, not just PE, but nutrition as well! I think yhis is great!! Really enjoyed watching this. You did a great job putting this together for us parents and I think you do a great job with our kids too! YOU ARE GREATLY APPRECIATED! Awesome! Wonderful! THANKS for sharing! Thanks! Glad you all are enjoying the posts.